The relay was officially flagged off on 27th February 2019 and will continue across the globe over the next 12 months with a hand-carved baton that is passed from woman to woman, country to country. 2018 Auto Expo also saw the launch of the SR125, with which the Storm 125 shares its engine, frame and other components with. The new Storm 125 will come in three colour options in a matte finish and distinguishing graphics. 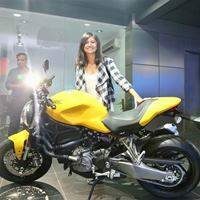 While the current-generation Ducati Scrambler prices begin at Rs 7.23 lakh (ex-showroom) for the Icon model, expect the new model to be priced about Rs 50,000-60,000 higher, primarily due to the cornering ABS. Hyundai Venue will not only be Hyundai's first sub-compact SUV, but it will also be India's first Internet-connected car which will enable it to perform several functions using a smartphone as a remote. After a lot of time and effort went into the project, the Limo-Jet first made its debut at KnowledgeFest in Dallas in August 2018 and still remain the only one of its species. Starting from marshals, stewards from FMSCI, chairperson, chief guests, and every person who played a role in smooth functioning of the 2019 Women's Rally to the Valley were all women. Ford Motor Company and Mahindra & Mahindra in 2017 announced a joint-venture under which they would build SUVs and EVs. But now, under a new deal between the two, Ford's independent operations in India may come to an end. The new-generation Porsche 911 will come in both coupe and cabriolet formats, and it'll get two- and four-wheel-drive trims in the form of Carrera S and Carrera 4S. Expect the prices to be higher than outgoing versions. Hyundai Venue BlueLink features explained: 10 India-exclusive among 33 new features! Before WIAA Women's Rally to the Valley flags off, we're exploring people who would act as inspirational lighthouses and racing driver and flight commander Sneha Sharma most certainly is a bright one to look up to. 2019 WIAA Women's Rally to the Valley not only promotes women's participation in motorsports but also spreads the message of women equality and road safety. Besides these, there are also exciting prizes to be won. In pics: Stunningly modified BMW G310 GS! From an ADV to Scrambler! WIAA and JK Tyre are organising the sixth edition of Women's Rally to the Valley on 7th April. Spreading the message of women equality and road safety, 100s of cars will start from Mumbai and drive to Aamby Valley. It is a great way to engage with the customers, releasing dubious sounding news that generates a cheap laugh. So, BMW, JLR, Skoda and several others attempted April Fool's Day jokes. We've lined up some. Hyundai Venue: Internet connectivity and top features that no other car in India has! Hyundai Venue India launch: Hyundai BlueLink is Hyundai's global technology which will be introduced in India with a total of 33 safety, convenience and vehicle management features, out of which 10 are India-specific. The upcoming Kia SP2i SUV will be launched in India in July this year. Kia Motors has said that after the first car launch in the Indian market, it will roll out new vehicles, launching one every six months. Reports suggest Hyundai QXi (Styx) will be called Styx in the international markets but it could carry a different name in some select countries. It will be positioned below Hyundai Creta in India.